Discussion in 'Football Recruiting' started by LordJeffBuck, Feb 6, 2019. Ben Christman and Smael Mondon Jr. have received offers from the Buckeyes. Smael Mondon Jr. is the other recent 2021 prospect that the Buckeyes have offered. Mondon is a 6-foot-3, 220-pound athlete from Paulding County High School in Dallas, Georgia. 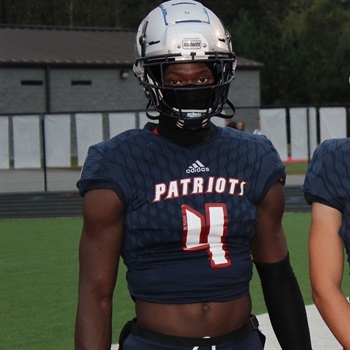 As with Christman, Mondon is not ranked in the 247sports or Rivals player composite rankings as of right now, but his offers currently include Florida, Tennessee, North Carolina State and Virginia Tech. According to his Twitter bio, he is a linebacker, running back and safety. He is known for his size, speed and versatility and was named All-County as a freshman and sophomore. As Mondon gets further into his high school career, he will naturally get stronger and faster and he will be a force at the next level. He has been described as a “big time prospect” that has Division 1 potential, as shown by his current offers. He currently has no crystal ball predictions by 247sports but will certainly be a prospect to keep an eye on in the future. brodybuck21 and mendensa like this.